Lovely Austrian city at the heart of the alps. Perfect for hikes and nature during the summer and some intense skiing in the winter. The town itself is very walkable, with lots of cute small streets in the old town - food selection is mostly Bavarian inspired cuisine but good restaurants overall. Great for a 2-3 day trip. Innsbruck is basically lovely year round. There is plenty to do in the city and it also makes for a very convenient home back for day trips throughout the region. In any season, Innsbruck is simply gorgeous. In winter, it's a skiing paradise with the longest ski runs I've ever experienced in my life. In summer, it's the deepest green I've ever seen made all the more remarkable by the stunning, snow-covered alps in the background. 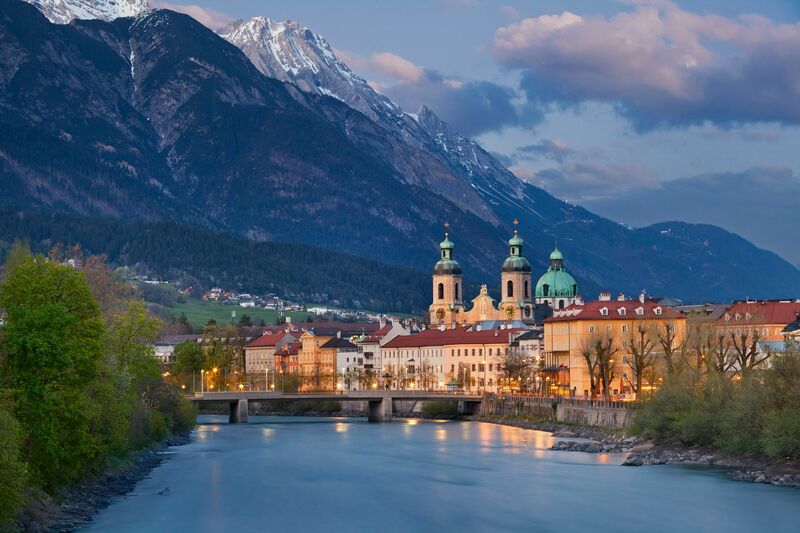 Innsbruck will have you spinning in the hills singing the 'Sound of Music' guaranteed. Visit Innsburck while you are Austria, it is the main city in the western part of this county. So much fun to ski in the Alps in Summer in Innsburck. There are several nice restaurants as well. The view is nice and the town is classy and quiet. Great setting for a love scene surrounded by the alps this like able little creature lays low amongst the deep valley full of heritage and surrounded by slopes in winter if you are experienced. Good for 3 days. One of those places that is a must see on anyone's list. Totally charming. Gorgeous scenery. Incredibly historic. Shopping, food, easy to get around, drinks, things to do. Just incredible and a must see at some point in everyone's lifetime. Love Innsbruck! The size is nice, easy to get around, the locals are extremely friendly and helpful and the shopping is really good. I won't forget about the restaurants and cafes that are incredible and a decent price. Alot to see in Innsbruck as it's a beautiful city as well as the surrounding area. Cidade mais linda que já vi, e as pessoas são muito atenciosas e prestativas! Ótimo lugar para esquiar no inverno. Visitem o alpenzoo. The city has a lot of history, much of which can be sampled by visiting the palace at the heart of the city, which is surrounded by gorgeous mountain scenery. It's a bit of a walk from the train station to the sights, so plan accordingly!